You’ll be able to touch a dolphin and enjoy the bath of your lifetime in the first ever dolphinaria in Dominican Republic. An unique experience! Make the best of your stay and get to know the country most representative species, our Rhinoceros Iguana reproduction center and enjoy an animal show that you’ll not forget! 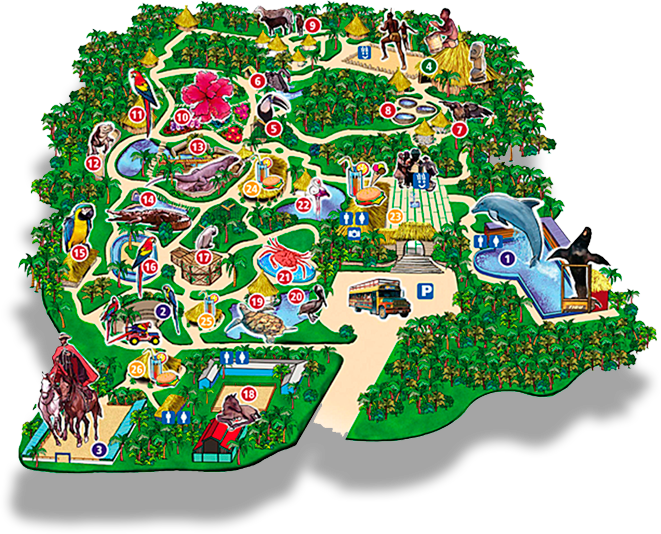 Discover the first ever theme park in Dominican Republic. Founded in 1996, Manatí Park is the home of the largest animal collection in the country. The park houses more than 150 species, and you’ll be able to enjoy five different shows designed for you and your family! We also have two beautiful natural wells in which you can enjoy a bath. 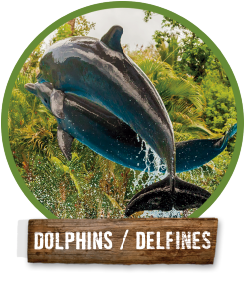 Do not forget that you’ll be able to swim with our dolphins as well! 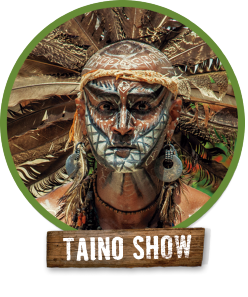 Enjoy a trip to the past of the Taino people through their traditions, dances and rituals. Stroll around our Taino village, discover their bohíos, their art and ancestral customs. 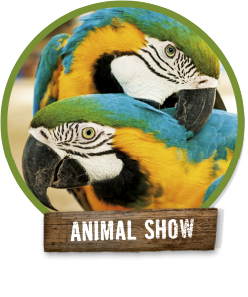 Come and enjoy our fun show where you will learn and have a good time with our amusing parrots, cockatoos, iguanas and many more surprises! Learn everything there is to know about dolphins in an original and different way. You will enjoy their fun show full of acrobatics and dances, and even the little ones will be able to interact directly with our stars! A complete show for the delight of all the family! Exercises, acrobatics, dances and much more! 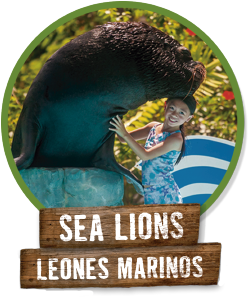 Come and enjoy the fun games between our beloved sea lions and their trainers. Their comical reactions will surprise you! 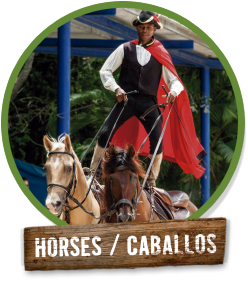 Come and enjoy our equestrian show with our impressive Spanish Pure breed horses, Quarter Horse and our Shetland Pony. 20 minutes of entertainment and mightiness where you will witness these elegant horses and their dressage.